Here’s the schedule for week 25 – we look forward to seeing you at your child’s student-led conference! See below also for more information on the new high school campus, the Da Vinci Schools annual giving campaign, and the March 11th DV Gala Dance. New High School Campus Construction Updates – Subscribe Today! Get the latest news and updates on our new high school campus delivered to your phone by subscribing to our construction blog at douglasat201.org. Designed by Gensler, the world-class modern and sustainable campus at 201 N. Douglas St. in El Segundo, CA, will incorporate the latest technology and hands-on, interdisciplinary environments for collaborative, project-based learning. The new campus, slated to open in August 2017, will house Da Vinci Science on the 2nd floor, Da Vinci Communications on the 3rd floor, and Da Vinci Design on the 4th floor. Da Vinci and Wiseburn administrative offices will be housed on the 1st floor. According to the construction timeline, the main building will be available for use by students in August 2017. Phase 2 (the gymnasium, pool and an athletic field) is expected to be completed by Spring 2018. 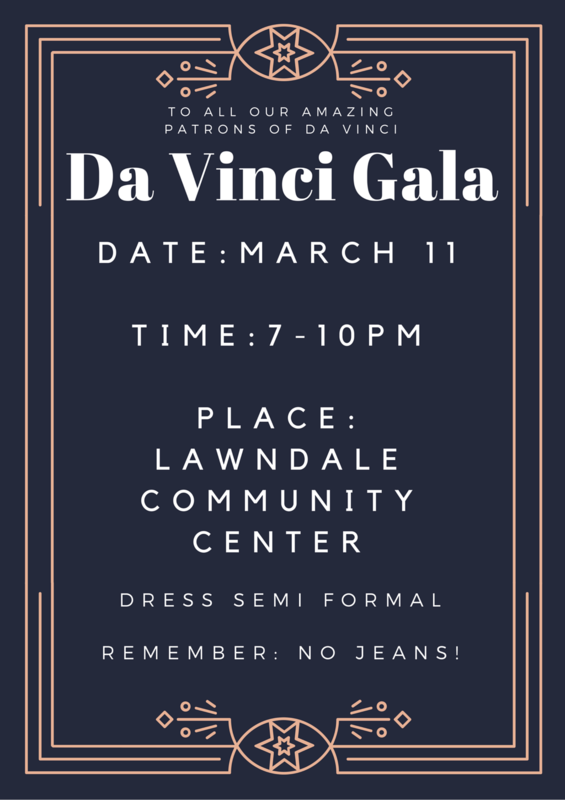 There’s never been a better time to support Da Vinci Schools! Thanks to a generous matching challenge by Chevron, Belkin, Northrop and Kinecta, every donation and pledge made by March 31 will be DOUBLED, up to $50,000. All pledge payments must be received by June 1, 2016 to be eligible for the match. Every gift makes a difference. Make an online tax-deductible gift today by clicking on this link:http://www.davincischools.org/makeagift.shtml. Thank you! Get your service hours at Race for the Cure on March 12th! What? 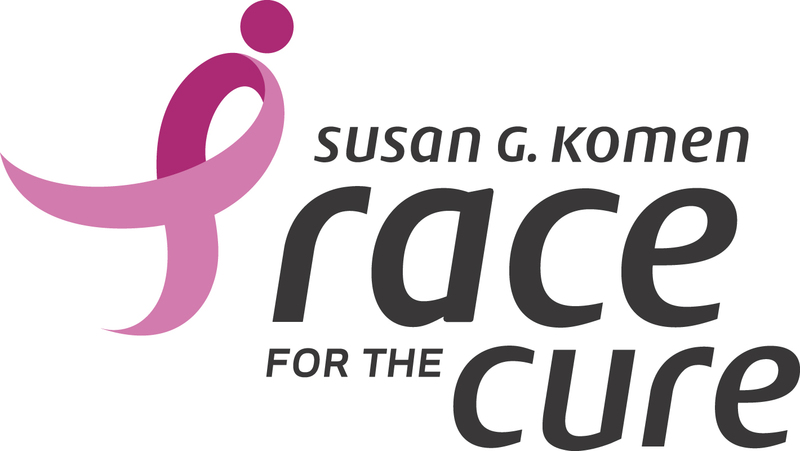 Susan G. Komen Race for the Cure® Series is the world’s largest and most successful education and fundraising event for breast cancer ever created. The event raises significant funds and awareness for the breast cancer movement, celebrates breast cancer survivorship and honors those who have lost their battle with the disease. When? Saturday, March 12th, 7:00am – 12:00pm. Shift times vary, but typically begin around 7:00 am and go until approximately 11:30am. Where? Dodger Stadium, in Elysian Park. Students are responsible for their own transportation to and from the event. How do I sign up? Email Natasha Morse at nmorse@davincischools.org by Wednesday, March 2ndAND complete the online waiver: http://lacounty.info-komen.org/site/PageServer?pagename=PSD_2016_TR_volunteer prior to the event. A recent lawsuit against the California Department of Education (CDE) is impacting all public schools in California, including Da Vinci Schools. Da Vinci Schools are not involved in the lawsuit and are not the subject of any of the suit’s allegations. Nonetheless, as a part of this lawsuit, CDE has been ordered by the court to release all data it has collected on general and special education students since Jan. 1, 2008. By Court Order, none of this information may be used outside the context of this lawsuit. Access to the students’ records will be restricted to the plaintiffs, their attorneys and consultants, and the Courts. No student records will be disclosed to the public. For more information regarding the release of this data and how you can file an objection to the disclosure of personally identifiable information related to your children, please visit:http://www.cde.ca.gov/re/di/ws/morganhillcase.asp. Objections must be mailed directly to the Court. The deadline is April 1, 2016. Please find below links to the legal ruling and the Objection to Disclosure form. 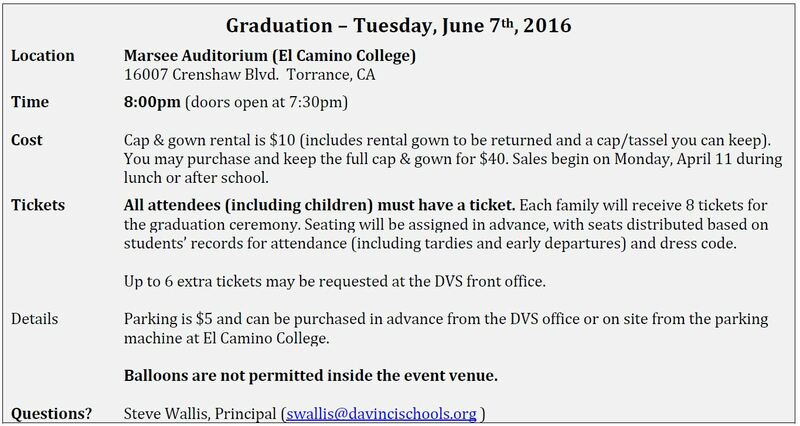 Information will be updated as it becomes available. You may also contact the California Department of Education at 916-319-0800. Please note: The objection form asks you to include your school district. Please enter “Wiseburn Unified” in this field. Una reciente demanda contra el Departamento de Educación de California (CDE) está impactando a todas las escuelas públicas de California, incluyendo las Escuelas Da Vinci. En abril 2012, dos organizaciones, la Asociación de Padres Preocupados de Morgan Hill y la Asociación de Padres Preocupados, presentaron una demanda contra el CDE alegando incumplimiento generalizado y sistémico de las leyes de educación especial por parte de las agencias locales de educación. La demanda también alega que el CDE no cumple con vigilar, investigar y corregir dicha falta de cumplimiento en conformidad con la ley. El CDE niega estas acusaciones y defiende activamente el litigio. Las escuelas Da Vinci no están involucrados en la demanda y no son objeto de ninguna de las alegaciones de la demanda. Sin embargo, como parte de esta demanda, el tribunal ha ordenado que el CDE libere todos los datos que ha recopilado desde el 1 de enero de 2008 de los estudiantes de educación general y especial. Por orden del tribunal, ninguna de esta información puede utilizarse fuera del contexto de esta demanda. El acceso a los registros de los estudiantes será limitado a los demandantes, sus abogados y consultores, y los tribunales. Ningún registro de estudiante se dará a conocer al público. Para obtener más información con respecto a la liberación de estos datos y cómo usted puede presentar una objeción de información de identificación personal, por favor visite:http://www.cde.ca.gov/re/di/ws/morganhillcase.asp. Las objeciones deben ser recibidas por el tribunal a más tardar el 1 de abril de 2016. Por favor, vea lo siguiente para la notificación de la divulgación y enlaces adicionales. La información se actualizará a medida que esté disponible. También puede comunicarse con el Departamento de Educación de California al 916-319-0800. Tenga en cuenta, la forma de objeción le pide que incluya su distrito escolar. Por favor, indique “Wiseburn Unified” en el lugar apropiado. As a reminder, all parents are expected to attend the Student-Led Conferences for their children each semester. Thank you for supporting your students in their path to success! Here is your DVS week 23 schedule! There will be no school on Monday is honor of President’s Day. Don’t forget to attend the Stargazing event next Friday evening at Dana MS, and students can sign up now to volunteer at this year’s Rock Around the Block (3/19) at http://vols.pt/GDsgh6! Remember there is no school for students tomorrow – and it’s also a terrific opportunity for them to make up any assignments they may have missed and to get all caught up and studied up for the week ahead. Please encourage students to use this day wisely as a work and study day! Your kids’ grades will be updated in Powerschool on Monday. Please let me know if you have any trouble accessing your child’s account. 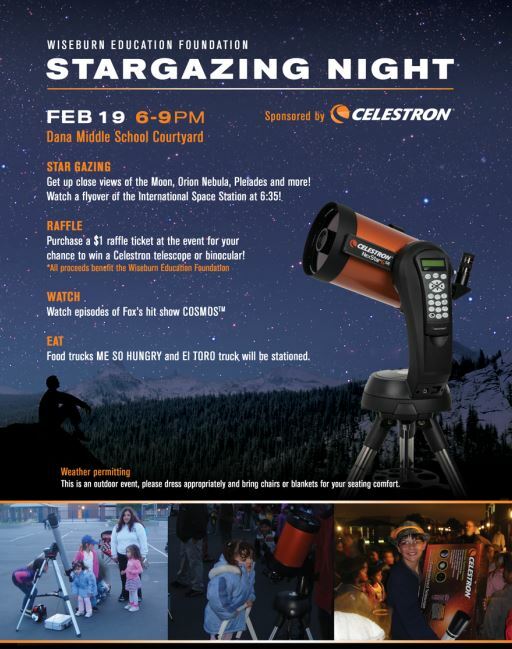 Mark your calendar for the Wiseburn Stargazing Event! February 19 from 6-9pm in the Dana Middle School Courtyard. We have started a new FB group for DVS parents who prefer communicating in Spanish! All of the posts in this group will be translated and posted in our DVS Families (Espanol) group. If you or any of your friends would like to join, click here! If you prefer to receive these and other school communications in Spanish, please email our college counselor Ms. Valle at cvalle@davincischools.org.